Requires 2 - up to 26 watt GU24 bulbs. Bring an artistic flavour into your home with Hampton Bay's 3-Light Vanity Light in chrome finish. Art deco style in contemporary design is interpreted with this vanity light. Featuring alabaster-like shades, this ornament will beautify your bathroom while providing a delicate, even glow for your bathroom or bedroom mirror. 2-Light 26W Polished Chrome Vanity Light This 2 light vanity highlights white frosted glass shades to match contemporary dicor. The vanity bar can be mounted vertical or horizontal to suit your personal style. 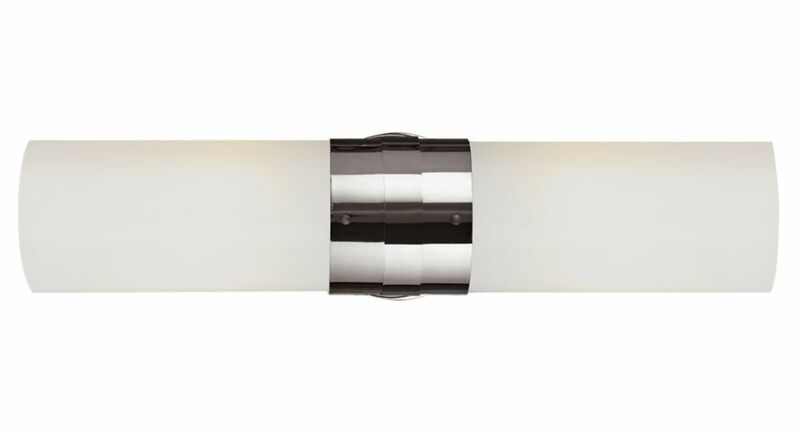 The fixture is finished in polished chrome which matches most home styles.